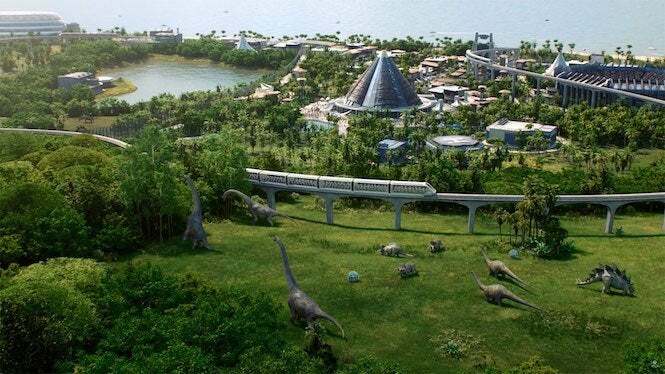 Ever since it came out earlier this year, Jurassic World Evolution has been enthralling fans of the franchise, enabling them to build the park of their dreams (or nightmares) while listening to the soothing voice of Dr. Ian Malcolm himself, Jeff Goldblum. But, just as Jurassic Park did, this place will soon see an expansion. A “Site B,” if you will. Frontier Developments has announced that it will release a new expansion called Secrets of Dr. Wu for Evolution, set to arrive on November 20 for Xbox One, PlayStation 4 and PC. The company notes that the expansion “is a new premium content pack featuring all-new locations, dinosaurs, challenges and a brand new Jurassic World story starring B.D. Wong as geneticist Dr. Henry Wu. Here’s the full description of the expansion, which is priced at $14.99. “Jurassic World Evolution: Secrets of Dr. Wu unlocks new campaign missions, putting players in control of two hidden research facilities on Isla Muerta and Isla Tacaño where Dr. Henry Wu, voiced by BD Wong, is developing a new generation of hybrid dinosaurs. Players will confront an elevated level of chaos and threat caused by Wu’s machinations as they work alongside the doctor and discover new dig sites, facility upgrades and research opportunities. Check out the trailer above to see what kind of trouble you’ll be able to get into with the Secrets of Dr. Wu. What is he hiding?! Jurassic World Evolution is available now for Xbox One, PlayStation 4 and PC.